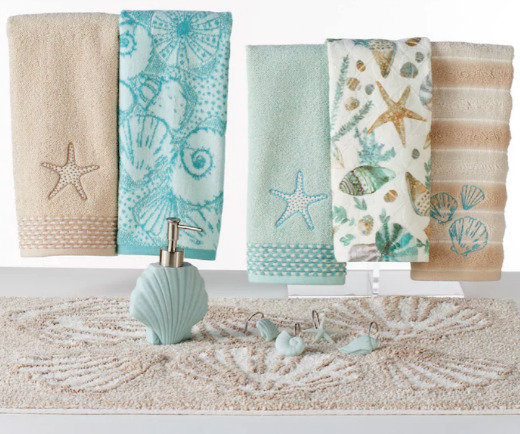 Kohl's Bath Sets & Collection includes 3 coastal beach sets that will transform your bathroom into a tranquil beachy oasis. 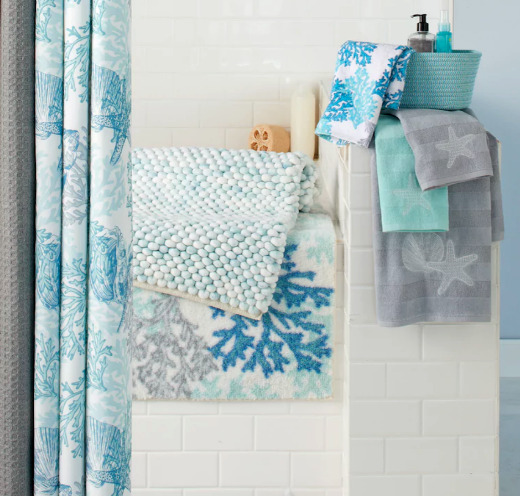 Coastal beach bath sets consist of shower curtains, cotton towels, bath rugs, as well as some storage bins and bath accessories. All items can be purchases individually. Create your beach spa!